Not to be confused with Nicky Low. Nicholas Alexander Law (born 29 March 1988) is an English professional footballer who plays as a midfielder for Exeter City in League Two. He is the son of football manager and former player Nicky Law, Sr.
Law began his career with Sheffield United, however he failed to make a significant breakthrough into the first team and had loan spells with Yeovil Town and twice at Bradford City. In 2009, he was given a free transfer joining Rotherham United and later moved to Scotland to join Scottish Premier League side Motherwell. Whilst with Motherwell Law was named in the PFA Scotland Team of the Year for season 2012–13 and the following summer joined Rangers. 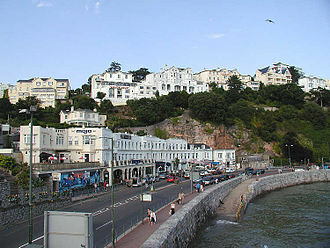 Law was born in Plymouth, Devon. A member of Sheffield United's academy, he was given a squad number despite only being expected to play in the reserves and Under-18's. However, he made his first team debut as a 58th minute substitute for Colin Marrison in the League Cup against Reading on 25 October 2005. A few weeks later, on 16 November 2005, Law signed a two-year contract with the club. One year on, but this on 18 October 2006, Law signed a two-year contract extension which will keep him at Sheffield United until 2009. Law made his Premier League debut for the Blades as a 90th-minute substitute against Newcastle United on 4 November 2006. and made his home league debut as week later, as a substitute against Bolton Wanderers at Bramall Lane the following week. He made four Premier League appearances during the 2006–07 season. Law had to wait until his third senior season to score his first goal for the Blades coming in a second round Carling Cup tie at MK Dons on 28 August 2007. After his loan spell with Bradford City came to an end, Law played his first match, when he went on as a substitute in the 89th minutes, in a 3–0 win over Leicester City. In July 2008, Law then went on a trial with Cheltenham Town. In February 2006, Law joined Yeovil Town on a month's loan, later extended to two months playing six times whilst at Huish Park. Having made six appearance for the club so far, Law had loan extended with Yeovil Town for another month. However, ten days later, Law was recalled by his parent club. He subsequently signed on loan for Bradford City on 5 October after being recommended to the club by his father and former City manager Nicky Law. He scored his first career league goals when he scored twice in the final minutes of Bradford's 4–1 victory over Dagenham & Redbridge on 17 November 2007. He returned to Sheffield United after two months opting to fight for a first team place in the Championship. In October 2008, Law was again signed on loan at Bradford City, as cover for Joe Colbeck, who was injured in a victory against Grimsby Town. His first game during his second spell was a day later and ended in a 1–0 victory against Bury at Valley Parade, with Law nearly scoring in the first half. He scored the first goal of his second spell in his fifth game to give City a 2–0 victory against Rotherham United at the Don Valley Stadium on 22 November With City suffering a number of injuries to midfielder's, Law's loan deal was extended until the New Year and another time until the end of the season. Law returned to Bramall Lane at the end of the season having made 29 appearances for the Bantams but was placed on the transfer list as Sheffield United sought to trim their squad. In June 2009, despite interest from both League One and League Two clubs, Law signed a two-year deal with Rotherham United. He left Bramall Lane on a free transfer but with the Blades retaining a 50% sell on clause. Law joined Rotherham United, rather than Bradford City, but stated not joining Bradford was one of the toughest calls to make. However, Law did believe that joining Rotherham United would be the best move for him at that point in his career. Law went immediately into Rotherham's first team after impressing in pre-season, making a huge impact to the squad and endearing himself with the fans., Consistent outstanding performances throughout the first month of the season brought much praise and attention to the young midfielder. Sky Sports pundits commented that he could "easily play in the championship, if not higher." On the strength of this, Middlesbrough reportedly placed a late deadline day bid, but this was rejected by Rotherham. After topping the list of assists in League Two consistently since the start of the season, Law scored his first goal for Rotherham on 26 September against Barnet. By January, Rotherham turned down another bid for Law, this time a £150,000 offer from Championship side Blackpool. Though the bid was turned down, Manager Ian Holloway, himself, says the club kept himself distance from signing Law. In his first season, Law, along with two other Rotherham United's player, Ian Sharps and Adam le Fondre, named the 2009–10 Football League Two Team of the Year. In 2010–11 season, Law starts his season in a match against Cheltenham Town, where he provided four assists, in a 6–4 win and scored his first goal of the season, in a 1–1 draw against Stevenage. Then, on 26 February 2011, Law made a hat-trick of assists, in a 4–2 win over Burton Albion. Law continued to impress in the 2010–11 season and still do the same thing by topping the list of assists in League Two consistently since the start of the season, which Law was, once again, named the 2009–10 Football League Two Team of the Year, becoming the second member to be named, in the previous season, for the PFA Team of the year in the second consecutive in a row. At the end of the 2010–11 season, Law was among six players to be offered a new contract. But as his contract is about to expire, Law attracted interests clubs from England and Scotland, like Scunthorpe United. Manager Andy Scott says he optimistic for Law to stay at the club, but soon admits Scott gave his best effort to keep Law. On 1 July 2011, Law joined SPL side Motherwell on a free transfer, joining up with Stuart McCall, who was his manager at Bradford City in 2008. 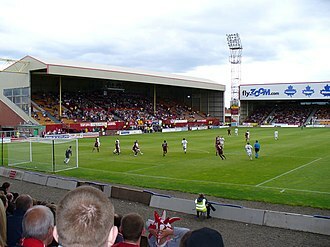 Law made his debut, on the opening game of the season, where he provided an assist for Jamie Murphy, in a 3–0 win over Inverness CT, and described it as a "perfect debut" On 24 August 2011, he scored his first Motherwell goal in a 4–0 League Cup win over Clyde. On 24 January 2012, Law scored his first league goal, in a 3–1 win against Dunfermline Athletic. Law finished the season with seven goals in forty-three appearance in all competitions. Motherwell finished in third place, and following Rangers administration, which meant they couldn't play in UEFA competitions Motherwell qualified for the Champions League. In 2012–13 season, Law played his first European match, the Champions League third qualifying round against Greek side Panathinaikos, but the Greek side proved to be too strong and Motherwell failed to win either legs losing 2–0 and 3–0 respectively. Despite the loss, Law spoke of his debut, saying: "It was classic European football, particularly Champions League". In the summer transfer window, Law was the subject of a bid from a League One club, which was rejected. Having made six appearances so far in the season, Law scored his first goal, in a 3–3 draw against Aberdeen on 23 September 2012 and then, on 18 November 2012, made a hat-trick of assists, in a 3–1 win over Inverness CT. Then, on 27 February 2013, Law provided a double assist, in a 2–1 win over Celtic. A week later, on 30 March 2013, Law scored a brace, in a 3–0 win against Dundee. After a run of good performances, Law was awarded March's Scottish Premier League player of the month. At the end of the 2012–13 season, Law, alongside teammates Shaun Hutchinson, Darren Randolph and Michael Higdon, was named in the PFA Scotland Team of the Year 2012–13. At the end of the season, the club finished in second place behind Celtic, meaning they qualified for Europe for the second season running. With his contract set to expire at the end of the 2012–13 season, Law had attracted interest from Rangers. In early April, Law was among the players who were offered a new contract by Motherwell. Law said he might stay with the club, but will wait until the season ends before making a decision. On 10 May 2013, Stuart McCall said that Law, along with Randolph, would be leaving the club on a free transfer. Four days later, on 14 May 2013, Law confirmed that he's in talks with Rangers. On 24 May 2013, Law agreed to join Rangers on a free transfer, when the Glasgow club's transfer ban is lifted on 1 September. Upon the move, Law stated joining Rangers as "It was impossible for me to turn down. It was probably a once-in-a-lifetime offer for me to sign here." Law went on to say Ally McCoist's tears and passion persuaded him to join the club. In January 2014, Manager McCoist said he didn't have any regrets about signing players in the summer, Law being among them, despite a deterioration of the financial situation at Rangers. Law scored two goals on his debut, playing as a trialist, in a Challenge Cup win over Albion Rovers. After the match, manager Ally McCoist praised Law's performance in the match. On 10 August 2013, Law played his first League match for Rangers against Brechin City, scoring one goal in a 4–1 victory and providing a double assist for Chris Hegarty for the first goal and Dean Shiels for the fourth goal. Since joining Rangers, manager McCoist says Law is responsible for helping the club by bringing "real calmness" and "an attacking edge". In the club's second game of 2014, Law scored a brace, as Rangers won 2–0 against Stenhousemuir on 5 January 2014. At the conclusion of the winter transfer, Manager McCoist revealed an English club had attempted to sign Law, only the bid was to be rejected, as it was felt the bidding club tried to take advantage of Rangers' financial problem, which turned out to be Blackpool. Law started for Rangers in the 1–0 loss to Raith Rovers in the 2014 Challenge Cup Final, where he missed a number of chances. In the 2014–15 season Law was the highest scoring Rangers player in the league with 13 goals. Under new manager Mark Warburton, Law made a strong start to the 2015–16 season and scored a goal in a 3–0 victory over Livingston on 12 September 2015. After two months out due to injury, Law returned to the Rangers starting eleven against Hibernian in late December, however his performances since the injury, were not consistent, or good enough to secure a new contract and he was released by Rangers in May 2016. Law re-signed for Bradford on 29 June 2016. He was released by Bradford City at the end of the 2017–18 season. Law joined League Two side Exeter City on 2 July 2018. Law represented England at youth international level. Law revealed that Stuart McCall is the biggest influence on his career and a massive help. His brother Josh Law is also a professional footballer. ^ Includes FA Cup & Scottish Cup matches. ^ Includes EFL Cup & Scottish League Cup matches. ^ Includes Champions League and Europa League matches. ^ Includes Football League Trophy, Scottish Challenge Cup & Play-off matches. ^ "EFL: Club list of registered players" (PDF). English Football League. 20 May 2017. p. 45. Retrieved 6 October 2017. ^ a b c d Hugman, Barry J., ed. (2010). The PFA Footballers' Who's Who 2010–11. Edinburgh: Mainstream Publishing. p. 246. ISBN 978-1-84596-601-0. ^ "Reading 2–0 Sheff Utd". BBC Sport. 25 October 2005. Retrieved 6 April 2008. ^ "Teenager Law nets Blades contract". BBC Sport. 16 November 2005. Retrieved 14 August 2013. ^ "Law extends contract with Blades". BBC Sport. 18 October 2006. Retrieved 14 August 2013. ^ "Law's premiership debut". BBC Sport. 4 November 2006. Retrieved 11 November 2006. ^ "His home league debut". BBC Sport. 11 November 2006. Retrieved 11 November 2006. ^ Shield, James (31 December 2008). "Blades youngster ready to stay on at McCall's club". Sheffield Star. Retrieved 31 December 2008. ^ "MK Dons 2–3 Sheffield Utd (aet)". BBC Sport. 28 August 2007. Retrieved 6 April 2008. ^ "Match Report: Milton Keynes 2 – 3 Sheffield United". Sheffield United F.C. 28 August 2007. Archived from the original on 18 June 2009. Retrieved 6 January 2009. ^ "Sheff Utd 3–0 Leicester City". BBC Sport. 5 April 2008. Retrieved 14 August 2013. 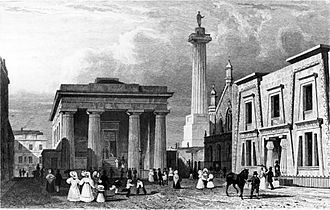 ^ "Cheltenham trial for Blades' Law". Sky Sports. 25 July 2008. Retrieved 14 August 2013. ^ "Yeovil snap up Blades midfielder". BBC Sport. 16 February 2007. Retrieved 6 April 2008. ^ "Nicky Law". Soccerbase. Retrieved 11 April 2009. ^ "Law extends Yeovil loan contract". Sky Sports. 19 March 2007. Retrieved 14 August 2013. ^ "Blades ace Law recalled from loan". BBC Sport. 29 March 2007. Retrieved 14 August 2013. ^ "Dag & Red 1–4 Bradford". BBC Sport. 17 November 2007. Retrieved 31 December 2008. ^ "Law returns to Blades". Football365. 20 December 2007. Retrieved 20 December 2007. ^ "Bradford City sign Laws on loan". BBC Sport. 27 October 2008. Retrieved 27 October 2008. ^ "Bradford 1–0 Bury". BBC Sport. 28 October 2008. Retrieved 28 October 2008. ^ "Rotherham 0–2 Bradford". BBC Sport. 21 November 2008. Retrieved 23 November 2008. ^ Parker, Simon (27 November 2008). "Clarets winger Jones joins City on loan". Telegraph & Argus. Archived from the original on 5 December 2008. Retrieved 27 November 2008. ^ "Law signs new Bradford loan deal". 6 January 2009. ^ "Blackwell begins reshaping Blades". BBC Sport. 28 May 2009. Retrieved 11 June 2009. ^ "Law to become a Miller". Sheffield United F.C. 12 June 2009. Retrieved 12 June 2009. ^ "Rotherham United: Nicky Law interview". Yorkshire Evening Post. 4 December 2009. Retrieved 14 August 2013. ^ a b c "Rotherham United: Nicky Law interview". Yorkshire Evening Post. 1 February 2010. Retrieved 14 August 2013. ^ "Rotherham 3–0 Barnet". BBC Sport. 26 September 2009. Retrieved 2 July 2011. ^ "Blackpool fail in bid for Rotherham United's Nicky Law". BBC Sport. 16 January 2010. Retrieved 16 January 2010. ^ "Holloway denies Law bid". Sky Sports. 19 January 2010. Retrieved 14 August 2013. ^ "Rooney is PFA player of the year". BBC Sport. 25 April 2010. Retrieved 14 August 2013. ^ "Rotherham 6–4 Cheltenham". BBC Sport. 21 August 2010. Retrieved 14 August 2013. ^ "Rotherham 1–1 Stevenage". BBC Sport. 9 October 2010. Retrieved 14 August 2013. ^ "Burton Albion 2–4 Rotherham United". BBC Sport. 26 February 2011. Retrieved 14 August 2013. ^ "Spireites trio in PFA XI". Sky Sports. 18 April 2011. Retrieved 14 August 2013. ^ "Rotherham United offer new deals to six players". BBC Sport. 10 May 2011. Retrieved 14 August 2013. ^ "Scunthorpe United interested in Law and Le Fondre". BBC Sport. 12 May 2011. Retrieved 14 August 2013. ^ "Scott unsure about Millers duo". Sky Sports. 4 May 2011. Retrieved 14 August 2013. ^ "Scott resigned to losing duo". Sky Sports. 8 June 2011. Retrieved 14 August 2013. ^ "Nicky Law completes move to Motherwell". BBC Sport. 1 July 2011. Retrieved 1 July 2011. ^ "New Motherwell star Nicky Law: Chance meeting with Stuart McCall during holiday sold me on move". Daily Record. 2 July 2011. Retrieved 14 August 2013. ^ "SPL: Motherwell 3 Inverness CT 0". Daily Record. 24 July 2011. Retrieved 14 August 2013. ^ "Motherwell newboy Nicky Law: Opening day thriller was perfect debut". Daily Record. 25 July 2011. Retrieved 14 August 2013. 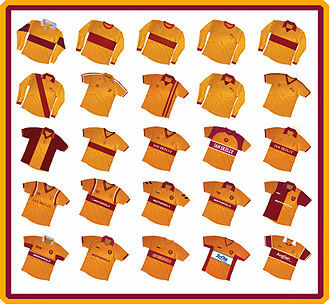 ^ "Clyde 0–4 Motherwell". BBC Sport. 24 August 2011. Retrieved 24 August 2011. ^ "Motherwell 3–1 Dunfermline Athletic". BBC Sport. 24 January 2012. Retrieved 14 August 2013. ^ "Law of averages: Motherwell ace Nicky's Champions League debut just another hard luck story". Daily Record. 5 August 2012. Retrieved 14 August 2013. ^ "Well turn down bids for pair". Sky Sports. 14 August 2012. Retrieved 14 August 2013. ^ "Inverness 1 Motherwell 5: Five-star Steelmen go goal crazy as Caley's 10-game unbeaten run ends". Daily Record. 18 November 2012. Retrieved 14 August 2013. ^ "Motherwell 2 Celtic 1: Michael Higdon's strike seals a memorable victory". Daily Record. 27 February 2013. Retrieved 14 August 2013. ^ "Dundee 0–3 Motherwell". BBC Sport. 30 March 2013. Retrieved 14 August 2013. ^ a b "Award-winner Nicky Law ponders future at Motherwell". BBC Sport. 15 April 2013. Retrieved 14 August 2013. ^ a b "PFA SCOTLAND TEAMS OF THE YEAR". PFA Scotland. 2 May 2013. Retrieved 14 August 2013. ^ "Nicky Law is wanted by Rangers, and could join in September on a free". Sky Sports. 6 March 2013. Retrieved 14 August 2013. ^ "McCall: Out of contract Steelmen to be offered deals in the next week". Daily Record. 6 April 2013. Retrieved 14 August 2013. ^ "Player of the Month Nicky Law in no hurry to say goodbye to Stuart McCall". Daily Record. 15 April 2011. Retrieved 14 August 2013. ^ "Stuart McCall confirms Nicky Law and Darren Randolph are heading for Motherwell exit". Daily Record. 10 May 2013. Retrieved 31 July 2013. ^ "Motherwell midfielder Nicky Law flattered by Rangers' interest". Sky Sports. 14 May 2013. Retrieved 14 August 2013. ^ "Rangers: Nicky Law agrees three-year contract at Ibrox". BBC Sport. 24 May 2013. Retrieved 24 May 2013. ^ "Midfielder Nicky Law: Rangers were too big a club to turn down". Daily Record. 24 May 2013. Retrieved 12 February 2014. ^ "Ally McCoist's tears and passion won me over, says new Rangers signing Nicky Law". Daily Record. 25 May 2013. Retrieved 12 February 2014. ^ "Rangers: Ally McCoist backs players who refused pay cut". BBC Sport. 17 January 2014. Retrieved 12 February 2014. ^ "Ally McCoist salutes 'trialist' Nicky Law after two-goal debut at Albion Rovers". Sky Sports. 28 July 2013. Retrieved 14 August 2013. ^ "Rangers 4 – 1 Brechin City". BBC Sport. 10 August 2013. Retrieved 14 August 2013. ^ "Rangers star Nicky Law can give the Ibrox crowd the excitement they want, says Ally McCoist". Daily Record. 17 August 2013. Retrieved 17 August 2013. ^ "Stenhousemuir 0 Rangers 2: Ten-man Rangers cruise past the Warriors". Daily Record. 5 January 2014. Retrieved 12 February 2014. ^ "Rangers boss Ally McCoist reveals club rejected late bid for Nicky Law in January transfer window". Daily Record. 9 February 2014. Retrieved 12 February 2014. ^ "Rumour Mill: Joe Ledley – Rangers – Aberdeen". The Scotsman. 12 February 2014. Retrieved 12 February 2014. ^ "Rangers 3–0 Livingston". BBC Sport. BBC. 12 September 2015. ^ "Rangers: Nicky Clark, Nicky Law and David Templeton leave club". BBC Sport. BBC. 24 May 2016. Retrieved 24 May 2016. ^ "Nicky Law joins Bradford City after Glasgow Rangers exit". BBC. 29 June 2016. Retrieved 12 December 2016. ^ "Bradford City: Club announce retained list". Telegraph & Argus. 17 May 2018. Retrieved 18 May 2018. ^ "Nicky Law: Exeter City sign former Bradford midfielder on free transfer". BBC Sport. 2 July 2018. Retrieved 15 July 2018. ^ "Motherwell star Nicky Law: I learned a lot watching Stuart McCall as gaffer of Bradford". Daily Record. 6 November 2011. Retrieved 14 August 2013. ^ "Josh Law hopes brother Nicky will stay at Rangers to reignite sibling rivalry". Scott Mullen. The Herald (Glasgow). 15 May 2016. ^ "Games played by Nicky Law in 2005/2006". Soccerbase. Centurycomm. Retrieved 19 July 2017. ^ a b "Games played by Nicky Law in 2006/2007". Soccerbase. Centurycomm. Retrieved 19 July 2017. ^ a b "Games played by Nicky Law in 2007/2008". Soccerbase. Centurycomm. Retrieved 19 July 2017. ^ "Games played by Nicky Law in 2008/2009". Soccerbase. Centurycomm. Retrieved 19 July 2017. ^ "Games played by Nicky Law in 2009/2010". Soccerbase. Centurycomm. Retrieved 19 July 2017. ^ "Games played by Nicky Law in 2010/2011". Soccerbase. Centurycomm. Retrieved 19 July 2017. ^ "Games played by Nicky Law in 2011/2012". Soccerbase. Centurycomm. Retrieved 19 July 2017. ^ "Games played by Nicky Law in 2012/2013". Soccerbase. Centurycomm. Retrieved 19 July 2017. ^ "Games played by Nicky Law in 2014/2015". Soccerbase. Centurycomm. Retrieved 19 July 2017. ^ "Games played by Nicky Law in 2015/2016". Soccerbase. Centurycomm. Retrieved 19 July 2017. ^ "Games played by Nicky Law in 2016/2017". Soccerbase. Centurycomm. Retrieved 19 July 2017. ^ "Games played by Nicky Law in 2017/2018". Soccerbase. Centurycomm. Retrieved 19 July 2017. ^ Burke, Andy (5 April 2016). "Rangers 1–0 Dumbarton". BBC Sport. BBC. Retrieved 5 April 2016. ^ English, Tom (10 April 2016). "Rangers 4–0 Peterhead". BBC Sport. BBC. Retrieved 10 April 2016. 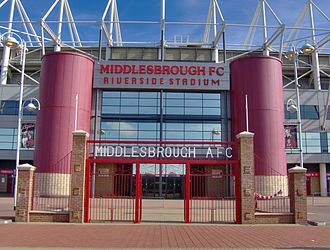 Middlesbrough Football Club is a professional association football club based in Middlesbrough, North Yorkshire, England. Formed in 1876, they have played at the Riverside Stadium since 1995 and they played at the Linthorpe Road ground from 1882 to 1903 and at Ayresome Park for 92 years, from 1903 to 1995. They were one of the members of the Premier League in 1992. The clubs main rivals are Sunderland and Newcastle United, there is a rivalry with fellow Yorkshire club Leeds United. The clubs highest league finish to date was third in the 1913–14 season, the club came close to folding in 1986 after experiencing severe financial difficulties before it was saved by a consortium led by board member and chairman Steve Gibson. 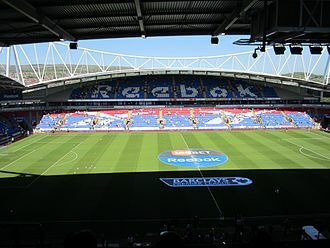 Middlesbrough were deducted three points for failing to fulfil a fixture against Blackburn Rovers in the 1996–97 Premier League season and they were promoted the following season and spent 11 seasons in the top division before being relegated again in 2009. Middlesbrough won the League Cup in 2004, the clubs first and they reached the 2006 UEFA Cup Final, but were beaten by Spanish side Sevilla. After seven years in the Championship, Middlesbrough secured promotion to the Premier League in 2016 after finishing in second place, the clubs traditional kit is red with white detailing. The various crests throughout the history, the most recent of which was adopted in 2007. They won the FA Amateur Cup in 1895 and again in 1898, the club turned professional in 1889, but reverted to amateur status in 1892. They turned professional permanently in 1899, after three seasons, they won promotion to the First Division, where they would remain for the next 22 years. In 1903, the moved to Ayresome Park, their home for the next 92 years. In 1905, the club sanctioned the transfer of Alf Common for £1,000, over the next few years, their form fluctuated greatly, rising to sixth in 1907–08 before dropping to 17th two seasons later. The club rose to their highest league finish to date, World War I soon intervened and football was suspended. Before league football resumed, Middlesbrough won the Northern Victory League and they remained in the First Division for the next few seasons, but were relegated in 1923–24 after finishing bottom, ten points adrift of their nearest rivals. Ian Scott Holloway is an English professional football manager and former player who is the manager of Championship club Queens Park Rangers. He has managed Queens Park Rangers, Plymouth Argyle, Leicester City, Blackpool, on 6 January 2014 Holloway signed a two-and-a-half-year deal with Millwall, this was terminated in March 2015. He rejoined Queens Park Rangers as manager on 11 November 2016 and he is known by the nickname Ollie, which is the title of his autobiography. A native of Kingswood, South Gloucestershire, east of Bristol, Holloway grew up in Cadbury Heath, Holloway went to Sir Bernard Lovell School in Oldland Common at the same time that Gary Penrice was at Chase School for Boys in Mangotsfield. They still remain friends today. His father Bill – an amateur footballer – worked as a seaman, Holloway began his playing career as an apprentice with his hometown team Bristol Rovers, turning professional in March 1981 and making his league debut the same year. He usually played on the side of midfield, and made his name as one of the more promising players in the Third Division. After four seasons at Rovers, he was transferred to Wimbledon in July 1985 for £35,000, Holloways stay at Wimbledon was a short one. In March 1986, after less than one year at the club, he was sold to Brentford for £25,000, in January 1987 he joined Torquay United on loan, playing five times. In August 1987, after two years in London, Holloway returned to Bristol Rovers for a fee of £10,000. Back at Rovers, who were now playing home games at Twerton Park in Bath, in four seasons, he missed only five games. When Francis was appointed manager of First Division side QPR in 1991, one of his first signings was Holloway, for a fee of £230,000 in August 1991. Holloway spent five seasons at QPR, playing more than 150 games for the club, before returning to Bristol Rovers for the time in August 1996. Holloway took over a club that was struggling both on and off the pitch, in his first season in charge of Rovers, he led the club to 17th place in Division Two. The next season, Bristol Rovers gained fifth place, despite taking a first-leg advantage of 3–1 against Northampton Town, Rovers subsequently lost 3–0 in the second leg and went out 4–3 on aggregate in the semi-finals. Reading Football Club is a professional association football club based in Reading, England. The team play in the Championship, the tier of English football. The club played at Elm Park for 102 years between 1896 and 1998, in 1998 the club moved to the new Madejski Stadium, which is named after the clubs co-chairman Sir John Madejski. Reading finished eighth in the 2006–07 Premier League, their first ever season as a top flight club, Reading were formed on 25 December 1871, following a public meeting at the Bridge Street Rooms organised by the future club secretary Joseph Edward Sydenham. The early matches were played at Reading Recreation Ground, and the club held fixtures at Reading Cricket Ground, Coley Park and Caversham Cricket Ground. The switch to professionalism in 1895 resulted in the need for a ground and, to this end. In 1913, Reading had a tour of Italy, prompting the leading sports newspaper Corriere della Sera to write without doubt. Reading were elected to the Football League Third Division South of the Football League in 1920, Reading lost their place in Division Two in May 1931, and remained in Third Division South until the outbreak of World War II. When League football resumed after the war, Reading quickly came to prominence once again, the sides moment of cup glory came in 1988 when they won the Simod Cup, beating a number of top flight sides en route to their Wembley win over Luton Town. Reading were promoted to the Second Division as champions in 1986 under the management of Ian Branfoot, the appointment of Mark McGhee as player-manager, shortly after the takeover by John Madejski, in 1991 saw Reading move forward. They were crowned champions of the new Division Two in 1994, in 1995, Reading had eased past Tranmere Rovers in the play-off semi-finals and looked to have booked their place in the Premier League only to lose against Bolton Wanderers in the final. Quinn and Goodings contracts were not renewed two years after Reading had slid into the half of Division One. Their successor, Terry Bullivant, lasted less than one season before being sacked in March 1998, the year 1998 saw Reading move into the new 24,200 all-seater Madejski Stadium, named after Chairman John Madejski. Milton Keynes Dons Football Club is a professional association football club based in the town of Milton Keynes, England. As of the 2016–17 season its first team plays in League One, initially based at the National Hockey Stadium, the club competed as Milton Keynes Dons from the start of the 2004–05 season. After two years in League One it was relegated to the fourth-tier League Two, Milton Keynes Dons won the Football League Trophy that year. The team remained in League One until the 2014–15 season when it won promotion to the Championship under the management of Karl Robinson, Milton Keynes, about 45 miles north-west of London in Buckinghamshire, was established as a new town in 1967. 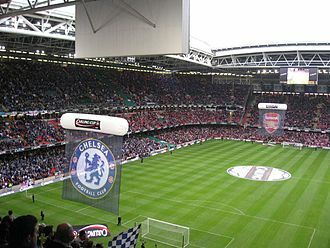 There was no precedent in English league football for such a move between conurbations and the authorities and most fans expressed strong opposition to the idea. Another team linked with the new town was Wimbledon Football Club, established in south London in 1889 and nicknamed the Dons, were elected to the Football League in 1977. They thereafter went through a fairytale rise from obscurity and by the end of the 1980s were established in the top division of English football, despite Wimbledons new prominence, the clubs modest home stadium at Plough Lane remained largely unchanged from its non-league days. The clubs then-owner Ron Noades identified this as a problem as early as 1979, however he decided that the club would not get higher crowds in Milton Keynes and abandoned the idea. Sam Hammam, who now owned Wimbledon, said the club could not afford to redevelop Plough Lane, a new stadium for Wimbledon proved hard to arrange. Hammam sold the club to two Norwegian businessmen, Kjell Inge Røkke and Bjørn Rune Gjelsten, in 1997, and a year sold Plough Lane to Safeway supermarkets, Wimbledon were relegated from the Premier League at the end of the 1999–2000 season. Starting in 2000, a consortium led by music promoter Pete Winkelman and supported by Asda, the consortium proposed that an established league club move to use this site, it approached Luton, Crystal Palace and Queens Park Rangers. In 2001 Røkke and Gjelsten appointed a new chairman, Charles Koppel, to the fury of most Wimbledon fans, Koppel announced on 2 August 2001 that the club intended to relocate to Milton Keynes. The league and FA stated opposition but the commissioners ruled in favour, AFC Wimbledon entered a groundshare agreement with Kingstonian in the borough of Kingston upon Thames, adjacent to Merton. The original Wimbledon intended to move to Milton Keynes immediately but were unable to do so until a home in the town meeting Football League criteria could be found. The club remained at Selhurst Park in the meantime and in June 2003 went into administration, with the move threatened and the club facing liquidation, Winkelman decided to buy it himself. He secured funding for the administrators to keep the team operating with the goal of getting it to Milton Keynes as soon as possible, the club arranged the temporary use of the National Hockey Stadium in Milton Keynes and played its first match there in September 2003. Exeter City Football Club /ˈɛksɪtə ˈsɪti/ is a professional association football club based in Exeter, England. The team play in League Two, the tier of the English football league system. The club is owned by the clubs supporters through the Exeter City Supporters Trust, the club was a member of the Football League from 1920 to 2003. Following five seasons in the Conference National, Exeter were promoted back to League Two for the 2008–09 season, in the 2011–12 season of League One Exeter City were relegated to League Two, finishing 23rd with 48 points, they have remained in League Two ever since. Exeter City was founded in 1904 and began playing on an old used for fattening pigs. Exeter remain at St James Park to this day, the club is nicknamed The Grecians. For the 2016–17 season Citys home kit is supplied by Joma and it consists of red and white shirts, black shorts, and black and white socks. The club is known as the first side to play a team from Brazil. As a result and Brazilian side Fluminense are now partner clubs, Exeter City F. C.
was formed from two predecessor clubs, Exeter United F. C. and St Sidwells United. Exeter United was a club from Exeter, that played between 1890 and 1904. In 1904, Exeter United lost 3–1 to local rivals St Sidwells United, the new team took the name Exeter City and continued to play at Exeter Uniteds ground, St James Park, where Exeter City still play today. Exeter United was formed from the team of the same name and were one of the first football teams with the moniker United. St Sidwells United was a club that had formed from the regulars who frequented the Foresters Inn in Sidwell Street, although the house was always known as the Drum. 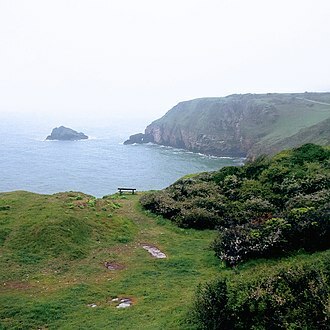 The team played in St Sidwells old colours of green and white, on 10 September 1904, Exeter City played its first ever competitive match, a 2–1 victory at St James over 110th Battery of the Royal Artillery, in the East Devon League. The attendance was 600, and the goal scored by Sid Thomas. City topped the East Devon League with 11 wins, two draws, one defeat in its first season, and transferred to the Plymouth & District League for next three seasons, in 1908, Exeter City A. F. C. became a limited company. The Scottish Premier League was the top level league competition for professional football clubs in Scotland. The league was founded in 1998, when it broke away from the Scottish Football League and it was abolished in 2013, when the SPL and SFL merged to form the new Scottish Professional Football League, with its top division being known as the Scottish Premiership. A total of 19 clubs competed in the SPL, but only the Old Firm clubs, for most of its history, the Scottish Football League had a two divisional structure between which clubs were promoted and relegated at the end of each season. This system came into force for the 1975–76 season and this setup continued until the 1994–95 season, when a four divisional structure was introduced. This involved the creation of a Third Division, with all four divisions consisting of ten clubs, on 8 September 1997, the clubs in the Premier Division decided to split from the Scottish Football League and form a Scottish Premier League. 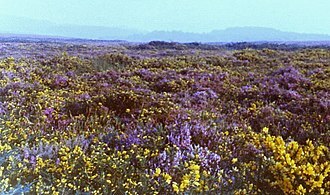 This followed an example in England, which came into force during the 1992–93 season. This decision was fuelled by a desire by the top clubs in Scotland to retain more of the revenue generated by the game, league sponsorship money was divided proportionally between clubs in all four divisions. After the SPL was formed, its clubs retained all of its commercial revenues except for a payment to the SFL. Teams received three points for a win and one point for a draw, no points were awarded for a loss. Teams were ranked by points, goal difference. At the end of season, the club with the most points was crowned league champion. If points were equal, the difference and goals scored determine the winner. 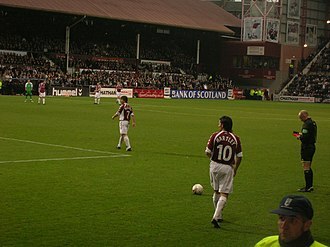 Originally the SPL contained 10 clubs, but it subsequently enlarged to 12 for the 2000–01 season, the increase from 10 clubs to 12 was part of the deal offered to obtain approval from SFL member clubs. After the expansion to 12 clubs the SPL operated a split format and this was done to prevent the need for a 44-game schedule, based on playing each other four times. That format had used in the Scottish Premier Division, but was considered to be too high a number of games in a league season. Blackpool Football Club is a professional association football club based in the seaside town of Blackpool, England. For the 2016–17 season, they are competing in League Two, founded in 1887, Blackpools home ground has been Bloomfield Road since 1901. Their main nickname is the Seasiders, but they are called the Pool and the Tangerines, the latter in reference to the colour of their home kit. Blackpools least successful period was in the 1980s, particularly when, in the 1982–83 season, they finished 21st in English League footballs lowest tier, the clubs motto is Progress, as featured on the club crest. Blackpool have a rivalry with Preston North End, and matches between the two clubs are known as the West Lancashire derby. They have not met in a match since February 2010. Football had developed in Blackpool by 1877 when Victoria F. C. were founded as a club with a ground in Caunce Street. This team disbanded a few years but some of its members are understood to have merged with old boys from St Johns School to form a new club called Blackpool St Johns. The new club managed to win two pieces of silverware in its first season in existence, 1887–88, the Fylde Cup, at the conclusion of the following 1888–89 season, Blackpool became founder members of the Lancashire League. In their first season in the competition, the club finished out of the 13 member clubs. They finished as runners-up over the three seasons, before winning the championship themselves on their fourth attempt. Blackpools home at that point in time was Raikes Hall, which was part of an entertainment complex that included a theatre. This meant that the average attendances were around the 2000 mark. 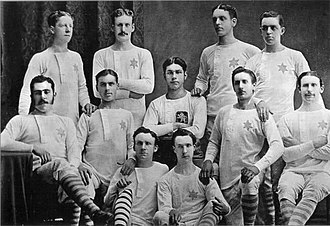 Their application was successful, and for the debut season, 1896–97. Blackpools first-ever Football League game took place on 5 September 1896, at Lincoln City, for the 1897–98 campaign, the club played their home games at the Athletic Grounds. They remained there for the first seven games of 1898–99. 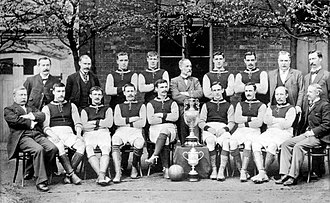 After finishing third-bottom, the club were not re-elected at the end of the 1898–99 season and they finished third, and after the Football Leagues annual meeting, on 25 May 1900, were permitted back into Division Two. In association football, a substitute is a player who is brought on to the pitch during a match in exchange for an existing player. Substitutions are generally made to replace a player who has become tired or injured, or who is performing poorly, unlike some sports, a player who has been substituted during a match may take no further part in it. 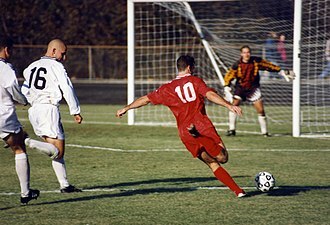 Most competitions only allow each team to make a maximum of three substitutions during a game, although more substitutions are permitted in non-competitive fixtures such as friendlies. A fourth substitution in extra time is currently being trialled at several tournaments over a two-year period. Each team nominates a number of players who may be used as substitutes, these players typically sit in the area with the coaches. A player who is noted for making appearances, or scoring important goals. The origin of football substitutes goes back to at least the early 1860s as part of English public school football games, the original use of the term substitute in football was to describe the replacement of players who failed to turn up for matches. The substitution of absent players happened as early as the 1850s, the first use of a substitute in international football was on 15 April 1889, in the match between Wales and Scotland at Wrexham. Waless original goalkeeper, Jim Trainer, failed to arrive, local amateur player Alf Pugh started the match and played for some 20 minutes until the arrival of Sam Gillam, the use of substitutes in finals matches was not allowed until the 1970 tournament. The number of substitutes usable in a match has increased from zero to one. Substitutions during matches in the English Football League were first permitted in the 1965–66 season, during the first two seasons after the law was introduced, each side was permitted only one substitution during a game. Moreover, the substitute could only replace an injured player, from the 1967–68 season, this rule was relaxed to allow substitutions for tactical reasons. On the same day, Bobby Knox became the first ever substitute to score a goal when he scored for Barrow against Wrexham. Glenville Adam James le Fondre, known as Adam le Fondre, is an English professional footballer who plays for League One side Bolton Wanderers on loan from Cardiff City, as a striker. He previously played for his hometown club Stockport County, Rotherham United and he is known by the nickname ALF or subsequently Alfie, derived from his initials. Born in Stockport, Greater Manchester, le Fondre began his career at Stockport County and he made his debut against Bury in 2004, scoring the third goal in a 3–1 victory. Le Fondre joined Rochdale on loan from Stockport during the 2007 January transfer window, earlier that term, he scored four goals in one game for County as they thrashed Wrexham 5–2. He featured in game as the side made it all the way to the Wembley Play Off Final at the end of a season where he was the clubs leading marksman. He continued his form into the 2008–09 season and finished the season as leading scorer with 21 goals and a series of Player of the Season awards. On 8 August 2009, Rotherham United agreed a fee with Rochdale for the striker, however, on 11 August le Fondre signed for the club on a three-year contract for an undisclosed fee. Le Fondre made his first start in a 2–1 victory at Grimsby Town in August and he scored again on his home debut, which came against former club Rochdale. His workrate and obvious talent endeared him to the Rotherham faithful, Le Fondre scored once in each leg of the semi-finals against Aldershot Town as Rotherham ran out 3–0 winners on aggregate, before they lost 3–2 in the final against Dagenham & Redbridge. Le Fondre finished the season with 30 goals and was linked with moves to Championship clubs Derby County and Leicester City and he scored four in one game for the second time in his career on 21 August 2010 in a remarkable 6–4 home victory over Cheltenham Town in the league. Huddersfield Town had a bid rejected for Le Fondre in January 2011, Le Fondre scored his 50th goal for the Millers in just 87 games with the second goal in a 2–0 win against Accrington Stanley on 15 February 2011. Le Fondre revealed in May 2011 that although he was happy to stay with Rotherham he revealed he was looking to sign for a club at a higher level. The team that played Brazil national team in 1914. A match played by Exeter City in Rio de Janeiro during its South American tour of 1914. Exeter City vs Altrincham, a Conference National fixture played on 19 August 2006. 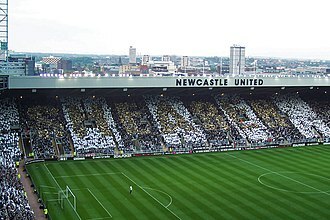 Alan Shearer mosaic during his testimonial match in May 2006. The club’s record goalscorer retired that month. Newcastle made an immediate return to the top-flight in 2010 after their relegation the year prior. Robbie Savage in action against Barnsley during the 1997–98 season. Pearson and Mandarić after winning the Football League One title. England International Phil Jagielka made over 250 appearances for United. Defender Harry Maguire made over 150 appearances for his boyhood club. Irish midfielder Stephen Quinn made over 250 appearances for United. Kyle Walker has played for the England national team. The United team from 28 September 1895 before a match against Stoke City. United conceding the third goal in the 1901 FA Cup Final against Tottenham Hotspur at Burnden Park in Bolton. The substitute bench of the national team of Argentina. John McGrath, 123 Football League appearances. Yeovil's Huish ground in 1983. New York Stadium in mid-construction (4 Feb 2012). Le Fondre on his home debut for Cardiff City, in a match against Huddersfield Town. Kenny Sansom appeared in a PFA Team of the Year on 11 occasions, which is more than any other player.